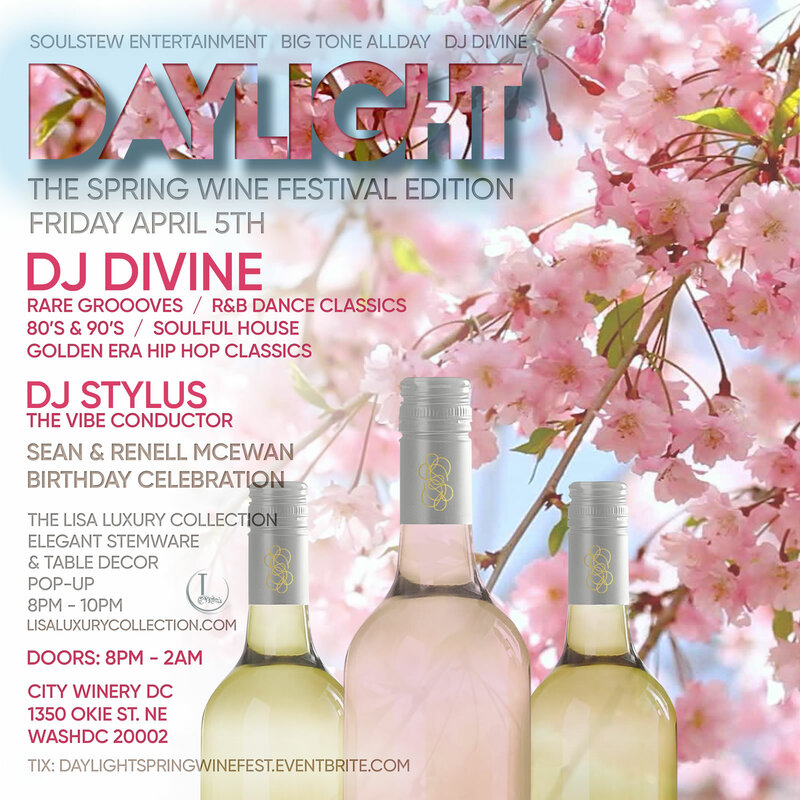 Daylight hosts its first Spring Wine Flight Fest at the City Winery DC. The hours for the Spring Wine Flight Fest are from 8-10pm and includes one City Winery wine flight with your Spring Wine Flight Fest ticket purchase of $20.00. The Flight will include four different wines to taste. Full service bar also available for beverages beyond wine. DJ Divine & DJ Stylus – The Vibe Conductor providing the tunes from 10pm to close.